In medium bowl, stir together mincemeat, pecans, apple, figs, brown sugar, brandy and lemon peel. Cover; refrigerate at least 8 hours. 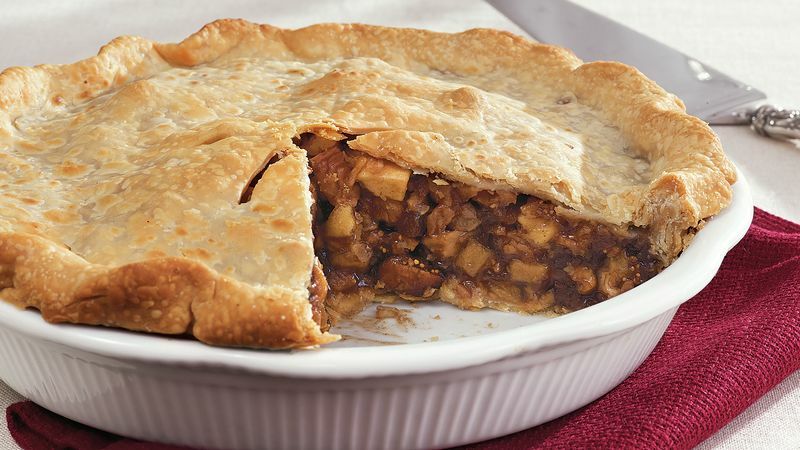 Let pie filling stand at room temperature 30 minutes. Meanwhile, heat oven to 425°F. Make pie crusts as directed on box for Two-Crust Pie using 9-inch pie plate. Stir filling well; pour into crust-lined plate. Top with second crust and flute; cut slits in several places. Bake on lowest oven rack 40 to 45 minutes or until pastry is golden brown. Cool completely on cooling rack, about 5 hours.